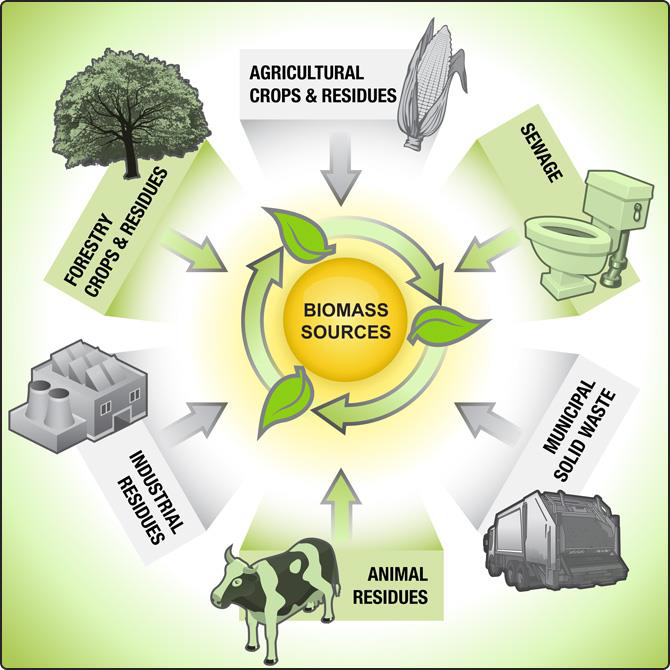 The term “biomass” encompasses diverse organic fuels derived from timber slash/waste, sewage sludge, animal manure and food processing residue wastes or from fuel crops that are specifically grown or reserved for electricity generation. These fuel crops are used as fuels in direct combustion power plants. 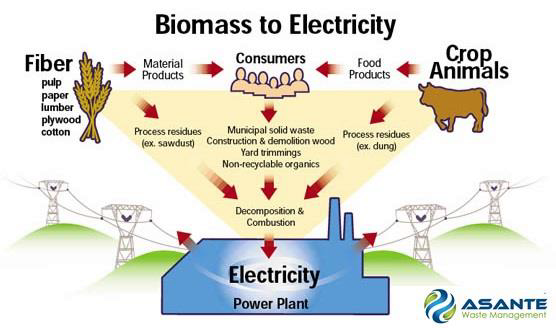 The biomass is burned, producing heat that is used to create steam to turn turbines to produce electricity. The steam can often be used for another process — such as drying vegetables or used in a factory. This is called cogeneration. Biomass power plants also divert wood waste from landfills, which reduces the productions and atmospheric release of methane, another potent greenhouse gas.